The weight attribute basically a Cisco proprietary technology and considered as the first attribute. The default value of weight is 0 and the range is from 0 to 65535. 0. 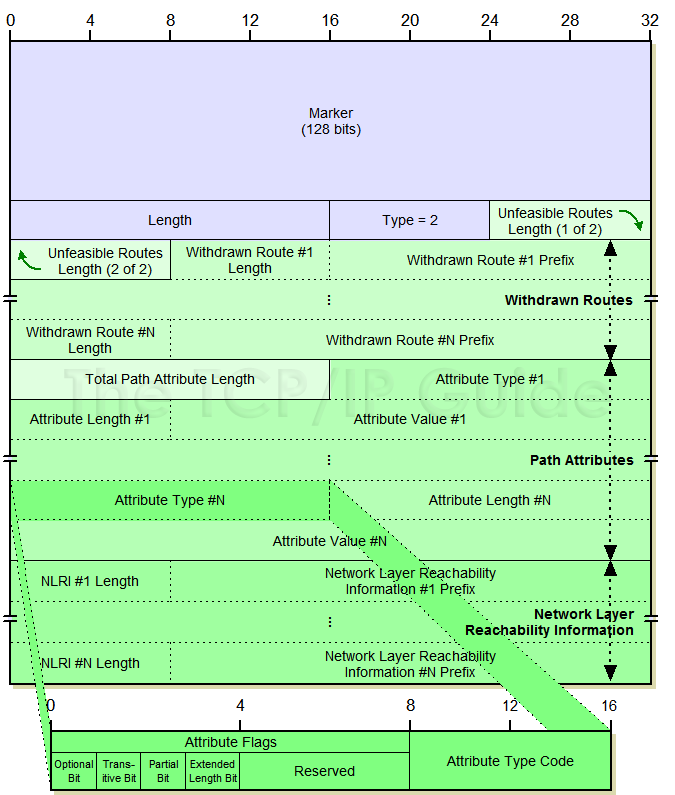 The paths should always be valid if see them in the output of "show ip bgp". Example: Reason that router RT-3 chose router RT-1 as its best path to network 131.25.0.0/16. These 2 functions are pretty similar, just with subtle differences. They can be used in an environment where a customer is using 1 AS number for many sites that are connected to an ISP. AS 100 connects to the ISP at 2 locations. So when R4 receives the prefix 99.99.99.99/32, he will see that AS path is via 200, 100. Because of the loop prevention mechanism, R4 will have to reject this prefix because it can see its own AS in the AS_PATH attribute. To fix this is to use the allow-as-in command. This allow R4 to override the loop prevention mechanism by allowing an instance of AS 100 to be in the AS_PATH. It keeps all the AS_PATH information and simply just allows 1 occurance of 100 to be in the AS_PATH; thus overriding the loop prevention mechanism. getting PE (R2&R3) to just strip AS 100 from the BGP UPDATE before sending it to the CE routers. It actually reset the peer, so there's no need to clear any neighbors. The AS_PATH has been overridden by the PE routers to their AS number instead. What is the Route-Refresh Capability? BGP is an exterior gateway protocol (EGP), used to perform interdomain routing in TCP/IP networks. A BGP router needs to establish a connection (on TCP port 179) to each of it's BGP peers before BGP updates can be exchanged. The BGP session between two BGP peers is said to be an external BGP (eBGP) session if the BGP peers are in different autonomous systems (AS). A BGP session between two BGP peers is said to be an internal BGP (iBGP) session if the BGP peers are in the same autonomous systems. By default, the peer relationship is established using the IP address of the interface closest to the peer router. However, using the neighbor x.x.x.x update-source Gix/x (registered customers only) command, any operational interface, including the loopback interface, can be specified to be used for establishing TCP connections. This method of peering using a loopback interface is useful since it will not bring down the BGP session when there are multiple paths between the BGP peers, which would otherwise result in tearing down the BGP session if the physical interface used for establishing the session goes down. In addition to that, it also allows the routers running BGP with multiple links between them to load balance over the available paths. The BGP Multipath Load Sharing for eBGP and iBGP feature allows you to configure multipath load balancing with both external BGP (eBGP) and internal BGP (iBGP) paths in Border Gateway Protocol (BGP) networks that are configured to use Multiprotocol Label Switching (MPLS) Virtual Private Networks (VPNs). This feature provides improved load balancing deployment and service offering capabilities and is useful for multi-homed autonomous systems and Provider Edge (PE) routers that import both eBGP and iBGP paths from multihomed and stub networks. IBGP assumes a full mesh by default, so it does not pass on routes learned FROM an IBGP peer TO another IBGP peer. Use loopback interface can solve SPOF (Single Point of Failure) that whenever a single link goes down, the BGP neighbor relationship will not reset itself. Unless advertise WAN Address, have to use source loopback when ping test. Hackers are unable to spoof the BGP peering in any way. Non-transit AS have to advertise the WAN network connected with the transit AS to the BGP. AS 3 sends traffic to network 172.16.0.0/24 through router Banshee. RIB (Routing Information Base) is global routing table (show ip route). If see a RIB-failure it means BGP cannot install this network in the routing table. Can use the show ip bgp rib-failure command to check what is going wrong. This might sound 'bad' but it doesn't have to be. If learn a network through OSPF and BGP it will show up as 'RIB-failure' because the administrative distance of OSPF is lower (better) than BGP. Default hold time is 180, keepalive interval is 60 seconds.